Winter Wonder Jam -- Cuyamaca College’s early holiday gift to the community featuring homegrown bands and musicians playing an eclectic mix of music practically for free – is set for 7-10 p.m. Friday, Dec. 4, in the performing arts theater. Musicians perform at a past Wonder Jam concert. Open to the public, the sixth annual music fest is put on by students in the Music Industry Studies program as a term project to learn the intricacies of concert promotion and production. Admission is $5 or a donation of three canned goods to the San Diego Food Bank. 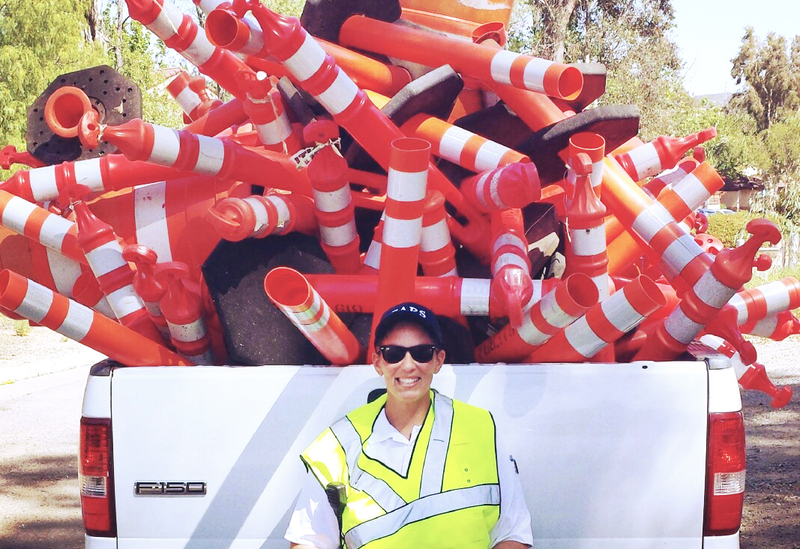 Ample free parking will be available at the college at 900 Rancho San Diego Parkway in Rancho San Diego. 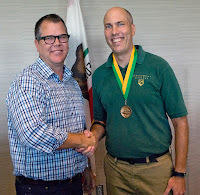 Michael Kelsey was working at a local Starbucks when he enrolled at Cuyamaca College’s state-of-the-art Cisco Networking Academy en route to finding a new career. Today, he’s taken the hands-on training he received and put it to use as a networking consultant for a San Diego internet technology firm. Cisco is a leader in the Internet’s infrastructure hardware, and the Cisco Networking Academy covers a combination of concepts to understand the foundations of how such systems work. The Cisco classes teach students how to design, build, troubleshoot, and secure computer networks for increased access to career and economic opportunities. The Cisco Networking Academy offers eight courses that begin with Introduction to Networks (CIS-201). And starting this spring, the Academy is revising its curriculum to allow students to earn certification as an entry-level network technician within just 16 weeks. 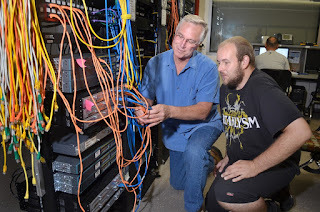 Cuyamaca College's CISCO Networking Academy trains students. From accounting to xeriscaping, East County’s community colleges offer a full spectrum of classes, and with the new semester starting Jan. 25, now is the time to register at Grossmont and Cuyamaca colleges. A wealth of traditional, online and hybrid classes are offered at both colleges, many of which satisfy general education requirements needed for university transfer. Joe Principe and Jeremiah Genesse. Instructors with Cuyamaca College’s Computer and Information Science Department are coaching East County middle and high school students in a prestigious nationwide cybersecurity competition sponsored by the nonprofit Air Force Association in Arlington, Virginia. The Cyberpatriot competition is aimed at increasing the awareness of cybersecurity by delivering a basic cybersecurity education to high school and middle school students in an exciting format that enhances leadership, communication, and cooperation skills among its competitors. More than 3,300 teams from schools from around the nation have registered for this year’s competition. 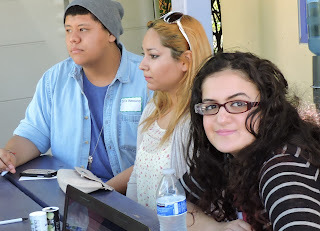 Among those participating are teams from Steele Canyon High School and Hillsdale Middle School in Rancho San Diego. More than a dozen students from those two schools are visiting Cuyamaca College each week for lessons, in-person coaching from a faculty of experts, hands-on experience in a state-of-the-art computer lab, and discussions making them aware of the latest cybersecurity issues. 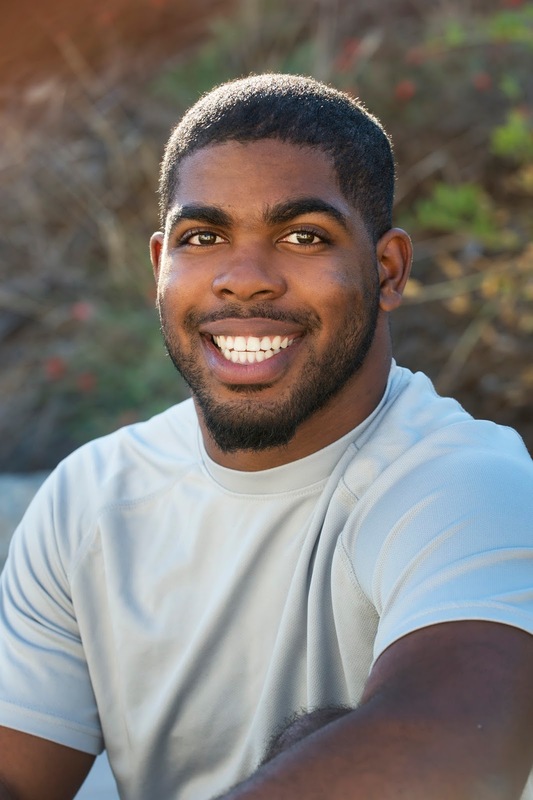 Xavier Daniels excelled at sports in high school, is an accomplished musician, studies theatre in hopes of finding work as an actor, and is planning on attending medical school en route to becoming a physician. Now, just weeks after stepping into the arena, the Grossmont College student already is turning heads as a member of the school’s Speech and Debate team. So far, so good. In his third competition this fall, Daniels notched a picket fence – or ranked 1st by all judges in the room – during the preliminary rounds of a tournament at Pasadena Community College for his performance during an impromptu speech. Though he faltered in the final round, he left many competitors in awe. The latest in a growing number of Native American celebrations at Cuyamaca College takes place Tuesday, Nov. 24, with the 5th annual Native American Social Gathering & Dance, an event that last year drew more than 200 people. The Social Gathering & Dance takes place from noon to 3 p.m. on the Cuyamaca College Grand Lawn. It features the Soaring Eagles, a Native American cultural dance group based in San Diego, whose members will detail the symbolism and history behind each dance and what they mean to individual tribes. 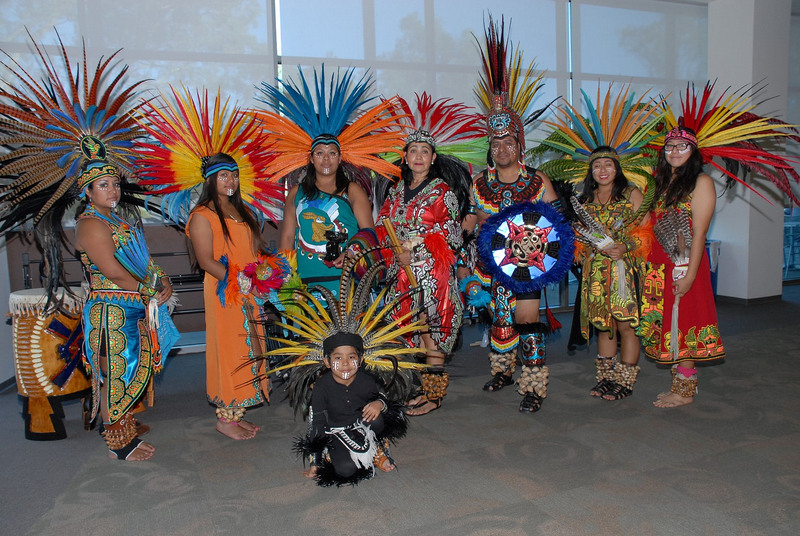 Added this year are performances from Aztec dancers. “It’s a wonderful educational experience for people from other cultures who may not know a lot about the Native American culture to get a glimpse of our culture, what we do and what we are about,” said Rachel Tsosie, president of the Cuyamaca College Native American Student Alliance that helped organize the event. Santa has taken up residence in the mall, Christmas decorations are going up in local neighborhoods, and holiday marketing is in full swing. Which means just one thing: It’s time for the annual poinsettia sale at Cuyamaca College’s Ornamental Horticulture program. 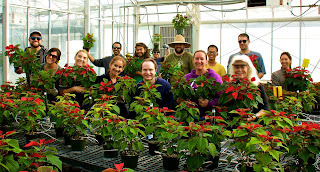 Once again this holiday season, the Ornamental Horticulture program is the community source for poinsettias. This year, the nursery at Cuyamaca College is offering two varieties: the Ecke Early Freedom Red and the Ecke Christmas Feelings Merlot. All proceeds benefit the Cuyamaca College Ornamental Horticulture program and help it purchase lab supplies and gardening tools. “We have a great program thanks to the support of industry, gardening clubs and the community, and the poinsettia sale is just one manifestation of that excellence,” said Donald Schultz, the Ornamental Horticulture’s program coordinator. 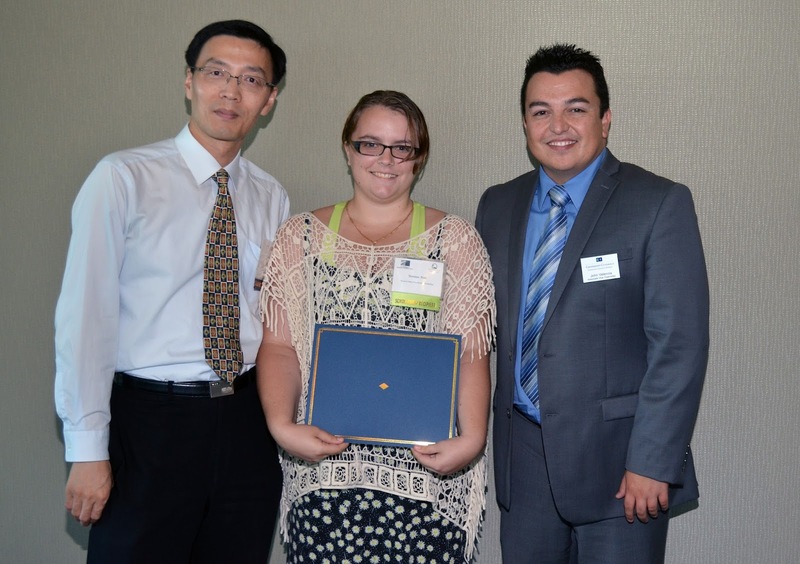 Kudos to the Grossmont College nursing program! The Grossmont College Nursing Program hosted another successful visit from its accrediting body, the California Board of Registered Nursing. For two days this week, the Nursing Program hosted three site visitors who compared the program to the regulatory body's rigorous set of standards -- and found Grossmont College's program met 100 percent of the criteria. "My congratulations to the Grossmont College Nursing Program," said Grossmont College President Nabil Abu-Ghazaleh. "To complete the accreditation process successfully is admirable. To receive rave reviews and not a single recommendation for improvement is an endorsement of the excellence in academics and student-centeredness that this program exhibits." Students coming from foster-care backgrounds struggling to get through college will get much needed help, thanks to a $1.2 million grant the Grossmont-Cuyamaca Community College District will receive from the state starting next year. The California Community Colleges Board of Governors Monday approved the awarding of the grant to 10 college districts throughout the state. 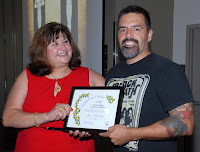 The East County college district is the only one in San Diego County awarded Cooperating Agencies Foster Youth Educational Support Program funds stemming from 2014 legislative action. 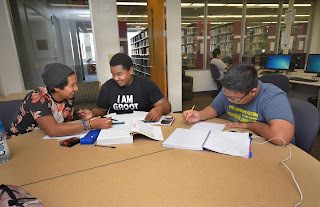 Registration begins Nov. 16, 2015, for spring intersession classes at Grossmont and Cuyamaca colleges. Students attend classes Jan. 4-22 and can complete a course, including those satisfying general education requirements, in only 15 days. The cost of the courses is the same $46 per unit that applies for regular-session classes, with most classes meeting daily for 3.5 hours and earning students three units. Registration for regular spring semester classes also begins Nov. 16 and ends Jan. 22, 2016. Mariah Moschetti is reaching for the sky. The Cuyamaca College Associated Student Government President was recently accepted into the super competitive NASA Community College Aerospace Scholars program and spent Oct. 26 to 29 studying at the NASA Jet Propulsion Laboratory in Pasadena. The NASA program was just the latest in a string of achievements for Moschetti since she arrived at Cuyamaca College. 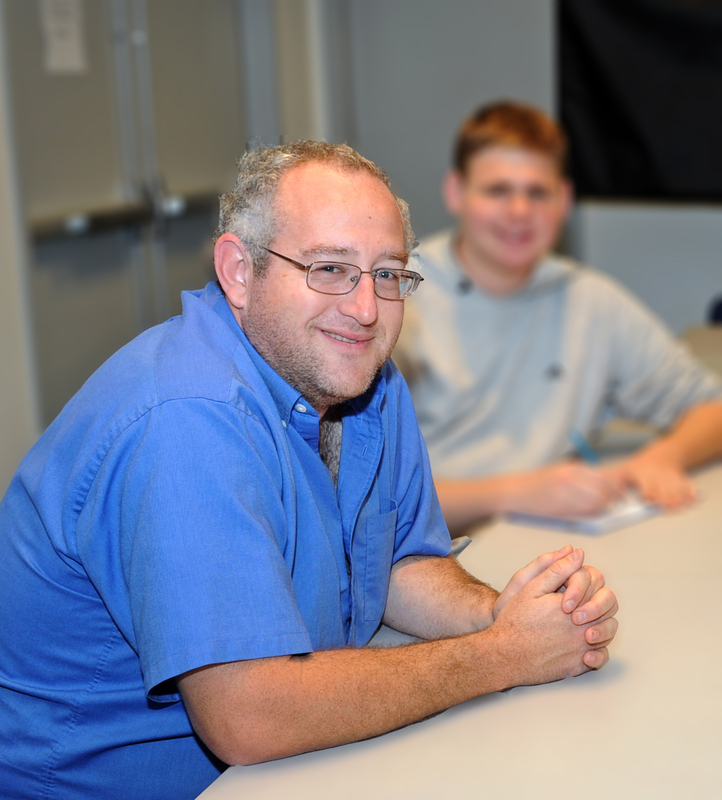 In honor of Veterans Day, here is a profile of a veteran now attending Cuyamaca College. Chris’ Reaves first try at community college 14 years ago ended in disappointment. But after his military service, the Air Force veteran is now earning solid grades as a wastewater technology major at Cuyamaca College, training to become a wastewater treatment operator. Reaves credits the military for instilling discipline and Cuyamaca College for helping him find direction. With no career prospects and nothing beyond a high school education, he enlisted in the Air Force. Reaves completed his basic training and was sent to Peterson Air Force Base in Colorado Springs, where he was assigned to traffic management operations. “I was the point of contact for all military personnel and dependents flying out of Peterson, making flight arrangements and such,” the former senior airman said. 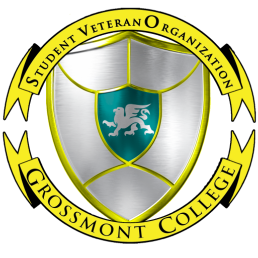 In honor of Veterans Day, here is a profile of a veteran now attending Grossmont College. Being a wife and mother of five children ages 2 to 12 is tough enough, but throw into the mix the roles of college student, retail sales associate and president of Grossmont College Student Veteran Organization, and you’ve got the hectic life of Briona Partin. 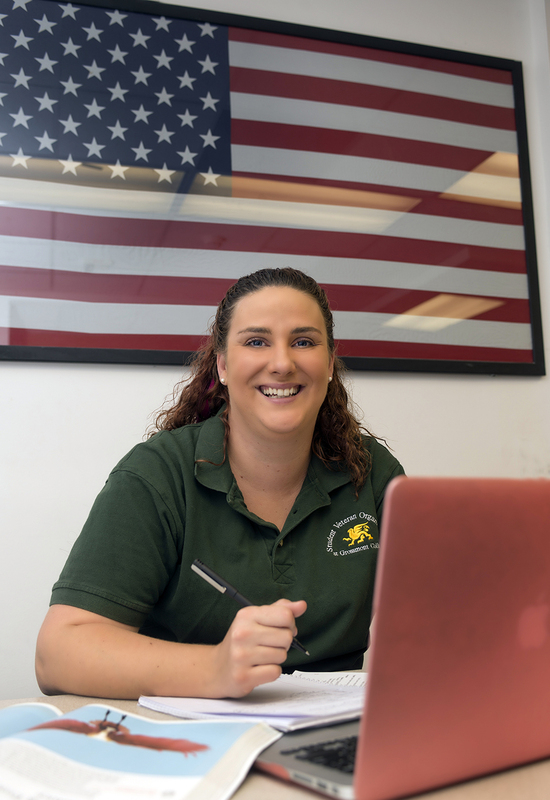 Following her discharge from the Marine Corps in 2014, Partin enrolled at Grossmont College after her husband, a former student, sang the college’s praises. “I have loved every minute,” said the nine-year veteran who reached the rank of sergeant as as a motor transportation operator, mainly driving military cargo trucks called MTVRs (Medium Tactical Vehicle Replacement). 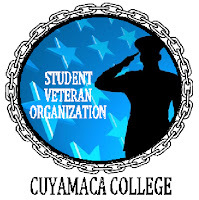 Partin said she was initially wary about revealing her veteran status to others on campus, but after discovering the student veteran organization, or SVO, and the Veteran Resource Center (VRC), which provides a central entry point for veterans as they transition from the military to the classroom, she had a change of heart. From participating in a parade along Harbor Drive in San Diego to a “Bowling for SVO” fundraiser, both Grossmont and Cuyamaca colleges plan a number of activities in commemoration of Veterans Day, Nov 11. 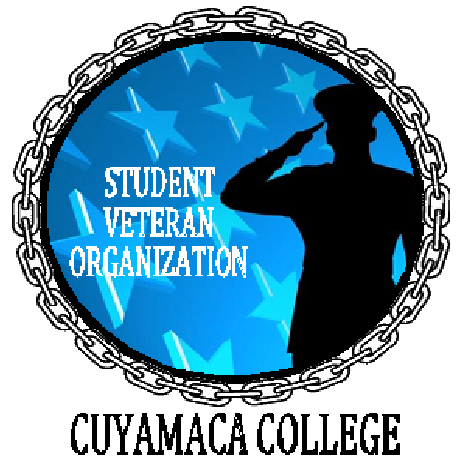 With nearly 1,500 veterans enrolled for the current semester at East County’s only public institutions of higher education -- a number that is steadily climbing -- both current and past members of the armed forces are a significant and valued presence within the college communities. 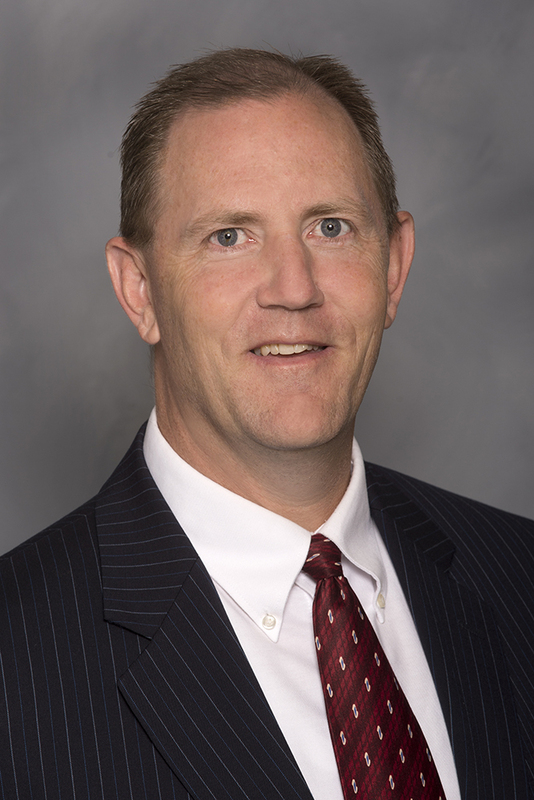 The Grossmont-Cuyamaca Community College District’s newly appointed associate vice chancellor of business services may spend his days scrutinizing budget minutiae, but Doug Jenson finds satisfaction in taking the broader view of helping to mold students’ futures. 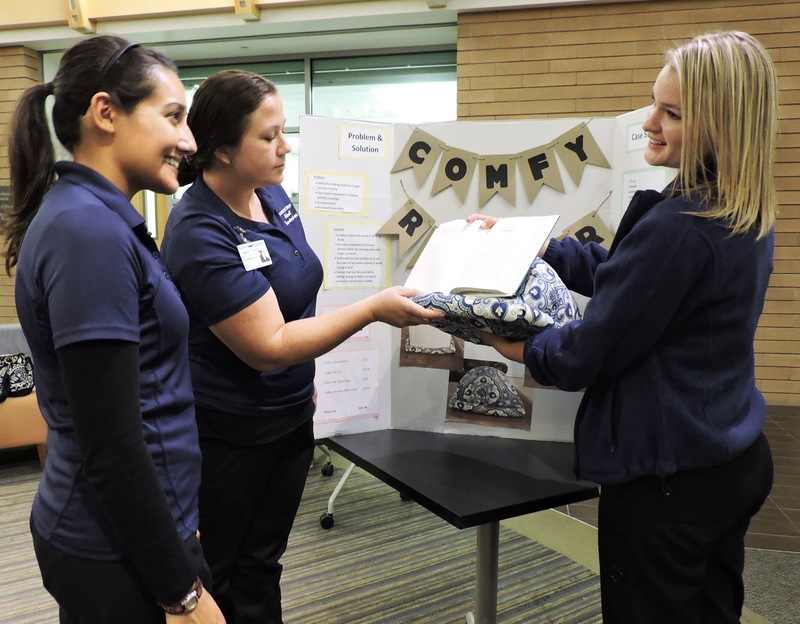 Students in a Grossmont College Occupational Therapy Assistant class have become inventors, creating homemade adaptive devices to help make life a little easier for friends and family members with physical impairments. Amanda Plascencia explains the benefits of the Comfy Reader. 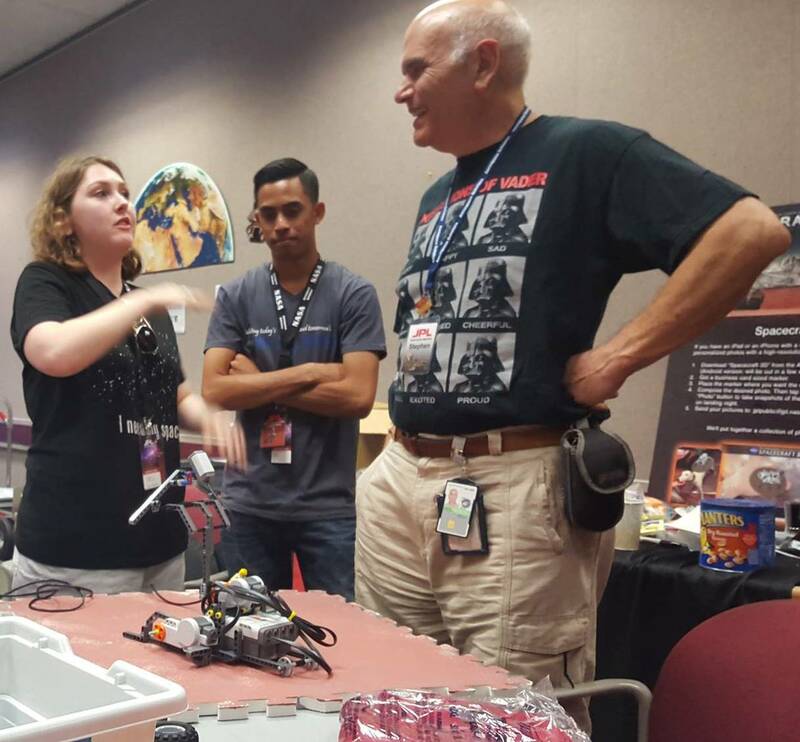 The 19 students will demonstrate their creations during the OTA program’s Eighth Annual Assistive Technology Show from 6:30-8 p.m. Thursday, Nov. 5, in the upper and lower lobbies of Building 34, the Health and Sciences Complex at Grossmont College, 8800 Grossmont College Drive in El Cajon. The first time John Heimaster set his sights on Cuyamaca College, rattlesnakes and rabbits were more plentiful than people. There was no library. No cafeteria. No gymnasium. There were hardly any classrooms. In the 37 years since, the grounds supervisor has played a pivotal role in the transformation of the 165-acre college into one of the most beautiful campuses in the region. He was part of the crew when the Grand Lawn was created three decades ago. And he and his crew have planted Torrey pines and cork oaks from seeds that blossomed into mature trees now providing canopies of shade from students, faculty and staff seeking a peaceful oasis in their busy day. 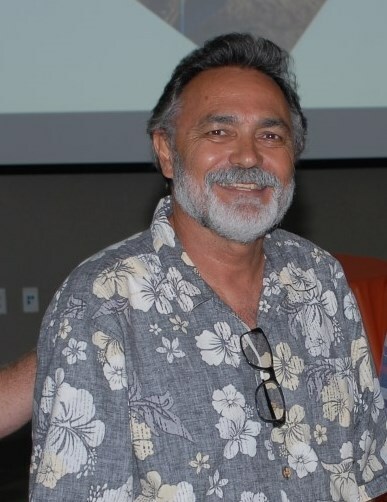 But Heimaster, who began working for the Grossmont-Cuyamaca Community College District in 1978 and came to Cuyamaca College a year later, has decided to retire. His last official day with the district is Oct. 30. Thousands of East County elementary school students will be treated to an out-of-this-world adventure when the Grossmont College Theatre Arts Department launches the 19th season of the Fall Elementary School Tour with “Martians!,” an original look at Orson Welles’ 1938 Halloween night radio broadcast that spread public panic about an extraterrestrial invasion. This year’s Fall Elementary School Tour begins with an Oct. 13 performance at La Mesa Dale Elementary School. Performances will follow on Tuesdays and Thursdays through Dec. 3. 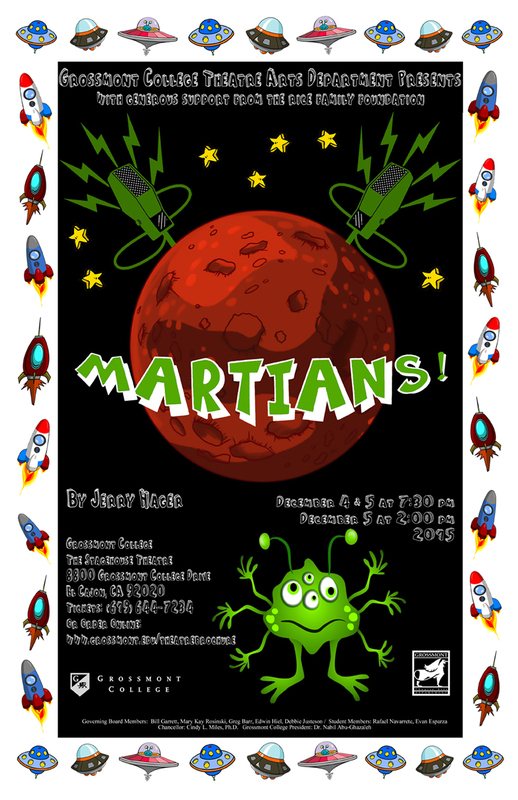 “This is a wonderful opportunity to provide theatre production to elementary school students in the area and expose them to the arts,” said Jerry Hager, a Grossmont College Theatre Arts Department professor who wrote and directed the play. 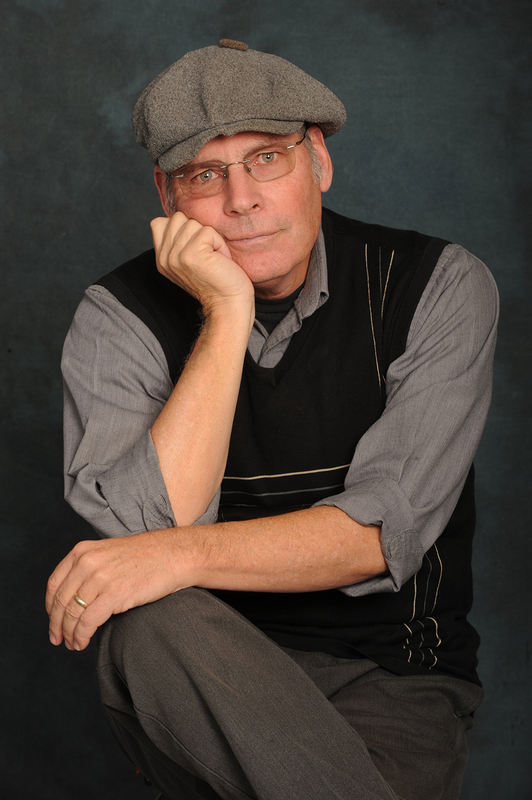 Grossmont College Theatre Arts Department veteran Jerry Hager is staging a special performance of his one-man show, “Invisible,” on Oct. 16 & 17 to raise money for the college’s Summer Conservatory for high school and college students interested in exploring the theatre. “Invisible” explores the stories of those living on the street. The play features 10 characters, including an old woman, a teenager, a brash woman, a veteran, a man suffering from cerebral palsy and characters with extreme personalities.Nine of the characters wear masks created by David Knezz,a critically acclaimed mask maker from Chicago. “The idea is to unmask the characters in the performance and illustrate that we’re all people just trying to do the best we can,” Hager said. 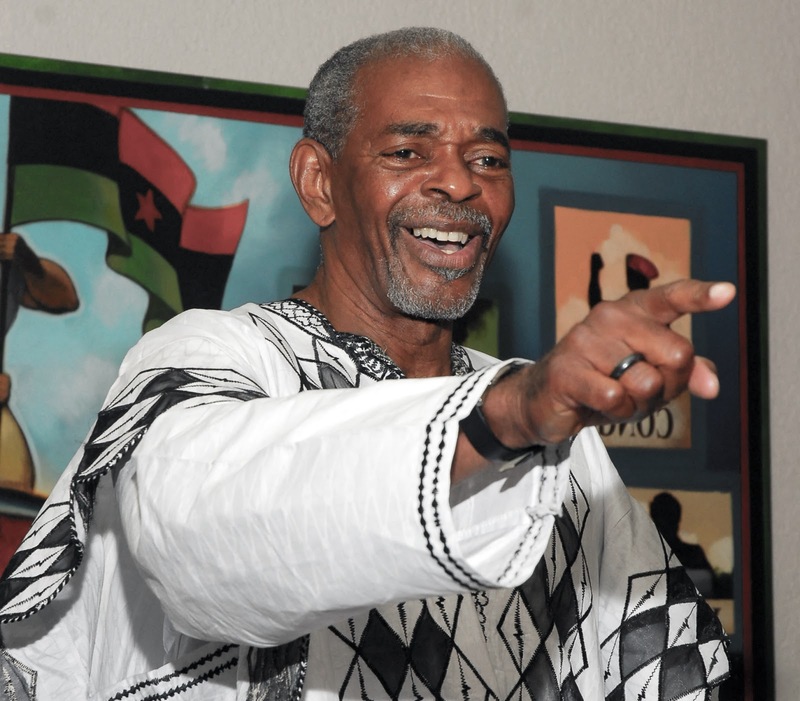 Omali Yeshitela, founder of the African People’s Socialist Party and the African Socialist International, is the featured speaker at Cuyamaca College’s Diversity Dialogues workshop, “Day in Solidarity with African People: Reparations for Stolen Black Lives,” set for 11 a.m.-1 p.m. Tuesday, Oct. 6, in the Performing Arts Center. The African People’s Solidarity Day events held throughout the country are part of APSC’s campaign to raise awareness in the white community about conditions faced by African people in the United States and elsewhere and to raise funds in support of the Uhuru, or Black Liberation, Movement. The movement describes itself as an international organization which advocates the economic and political liberation of black Africans. The solidarity day events feature Yeshitela, a Uhuru Movement leader, and African People’s Solidarity Committee Chairwoman Penny Hess. The pair will discuss how whites and other allies can support the struggles of the black community. The Employee Training Institute, the corporate training division of the region’s community colleges, including Grossmont and Cuyamaca colleges in the East County, is offering “Retaining and Managing the Millennial Generation,” a free workshop for HR professionals and business managers, from 8-10 a.m. Tuesday, Oct. 27, at the Corporate Education Center on the San Diego City College campus. The workshop, the first of a series launched for 2015-16 to promote corporate training services available through the region’s community colleges, is designed for managers to learn how to maximize the strengths and contributions of millennials, and to learn how HR practices can be updated to best suit a multi-generational workforce. Millennials now make up the majority of the workforce and while they bring fresh new skills and aptitudes to companies, they also present distinct HR and management challenges. Can college really be free? It can for East County high school students under a new scholarship program announced today in which all qualifying graduates of Grossmont Union High School District schools will be offered a free year of classes at Grossmont or Cuyamaca College. The scholarships, known as the Higher Edge, will first be offered to Class of 2019 graduates within the Grossmont Union High School District. In addition to the scholarships, high school students will be offered support services and opportunities to explore careers to help them discover a field that excites them and obtain the education they need to meet their goals. The Higher Edge scholarship program is the first in San Diego County to offer high school students a year of free community college classes. 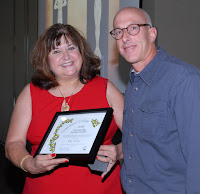 It was created through the East County Education Alliance, a partnership between the East County high school district and the Grossmont-Cuyamaca Community College District. Energy conservation measures, parking lot and roadway repairs, and prep work for new facilities are among the projects completed or underway at Grossmont and Cuyamaca colleges that are being funded by the Proposition V construction bond. 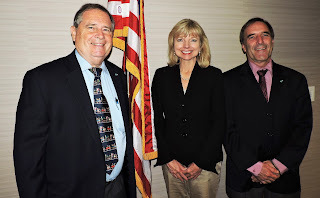 The Grossmont-Cuyamaca Community College District Governing Board was recently updated on the status of the $398 million construction bond approved by East County voters in fall 2012. The measure’s passage paved the way for the district to continue the work started with Prop. R – the $207 million facilities bond passed in 2002 that resulted in the construction or renovation of 13 major facilities at the colleges. 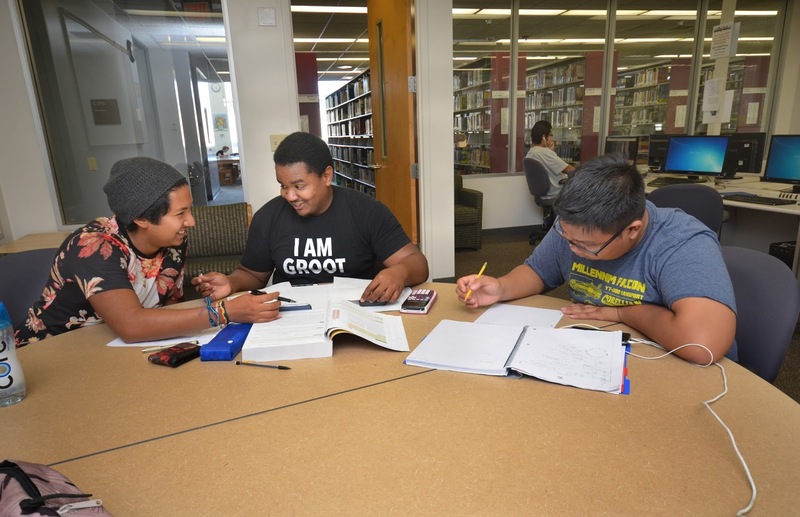 Grossmont College has been awarded a five-year $2.62 million federal grant that will fund a proposed program aimed at helping Hispanic and low-income students succeed in their classes and progress toward graduation. Tommie Post was raised to believe that going to college and earning a degree was critical for success in life. She hasn’t been disappointed. The Cuyamaca College scholar, who attended four different primary schools and moved more than 10 times during a childhood plagued by poverty, is on track toward earning an associate of science degree and transferring to San Diego State University en route to becoming an environmental engineer. Post was among the 128 Cuyamaca and Grossmont College students honored during Sept. 11scholarship ceremonies hosted by the Foundation for Grossmont & Cuyamaca Colleges. 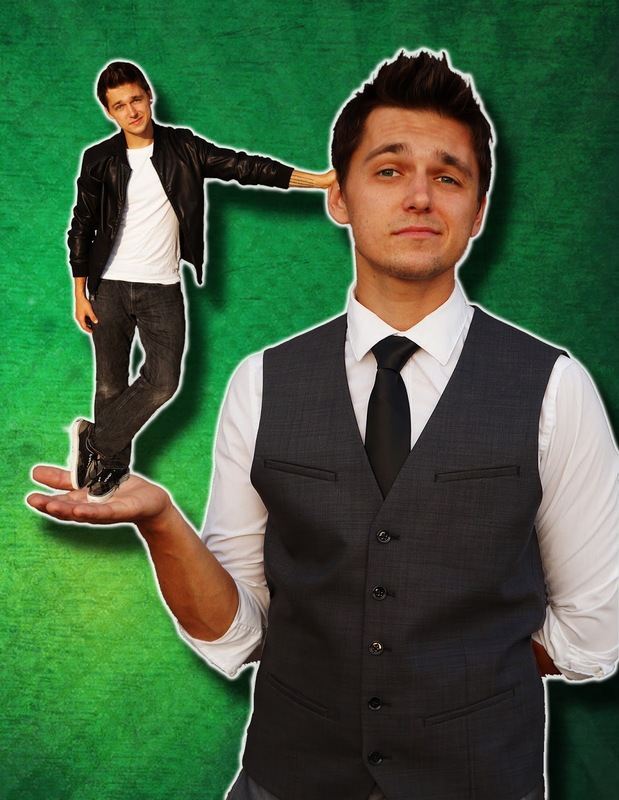 In many ways, Post, 19, is Cuyamaca College. 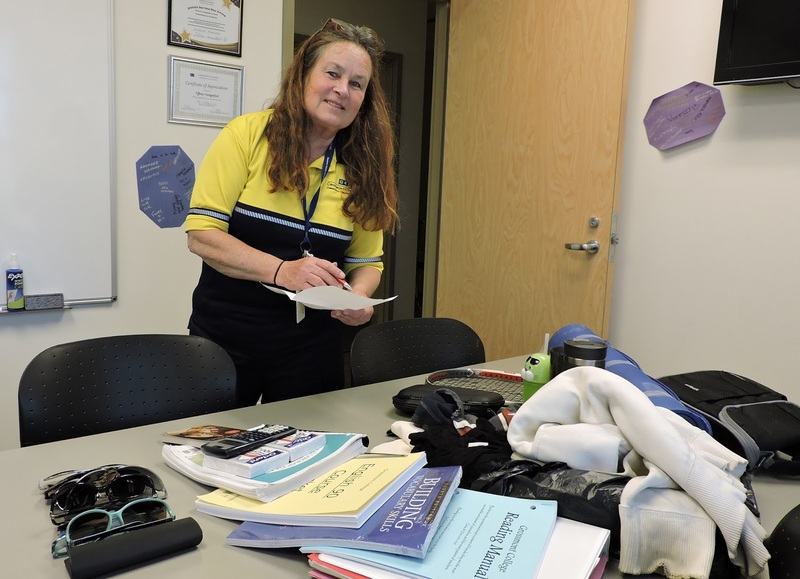 Though struggling financially, she has never hesitated to help others, and for three years helped raise money and run a booth for the Santee Relay for Life. She also helped established a LEO club – a youth organization of Lions Club International – at Santana High School, from which she graduated with honors. 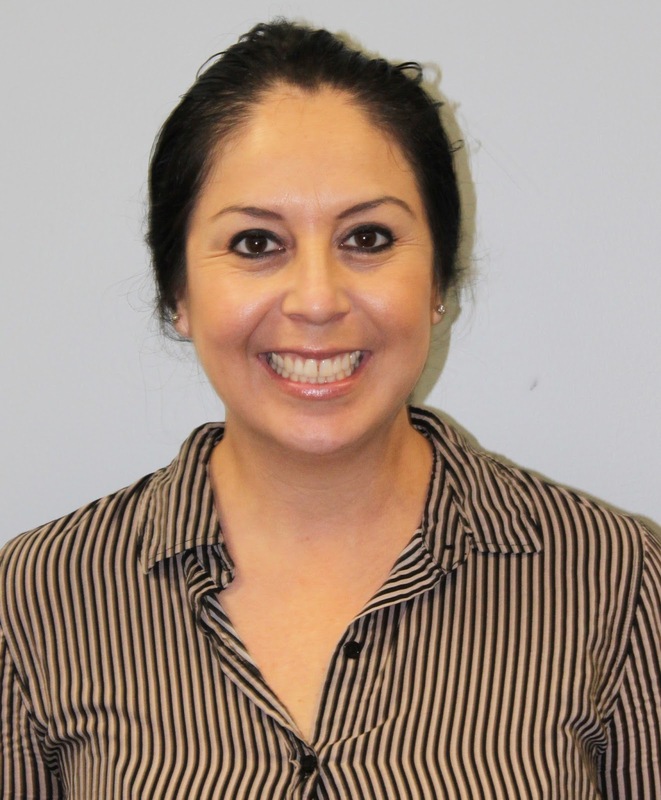 Her career plans include working toward developing the technology and infrastructure needed to build a stable source of water for a thirsty and drought-stricken California. 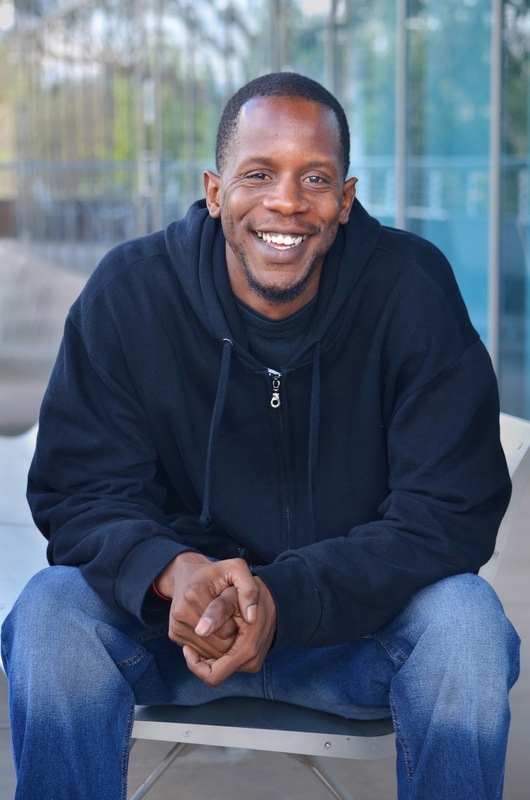 Cuyamaca College is partnering with a national organization to boost student success rates for men of color through an online faculty and staff training program aimed at building better teaching strategies and a greater awareness of casual, unintended slights. “We want to help men of color at Cuyamaca College advance their goals, whether that be earning a certificate, an associate degree, or transferring to a four-year college or university,” said Tammi Marshall, who serves as chair of the Mathematics Department at Cuyamaca and is leading the new effort with the Center for Organizational Responsibility and Advancement (CORA). “You often hear people talking about closing the achievement gap. We want to eliminate the achievement gap. CORA’s mission “is to support the development of educational and training professionals in advancing their capacity to serve historically underrepresented and underserved students in education.” Under the new collaboration effort, CORA will provide Cuyamaca College with professional development training to all instructional faculty on the most effective ways of teaching and reaching men of color. The one-week program, developed by researchers J. Luke Wood and Frank Harris III, includes videos, readings, live interactive sessions and learning assessments. The program is designed to improve relationship-building and encourage research-based strategies to support learning. Musical styles from the Middle East to Indonesia and from classical to jazz will be featured when the annual Fall Concert Series returns to Cuyamaca College’s Performing Arts Theatre on Tuesday, Sept. 22. Kembang Sunda, an Indonesian Gamelan ensemble, opens the 2015 Fall Concert Series at 7:30 p.m. on Sept. 22. Kembang Sunda has performed throughout Southern California, including the Cacao Festival in Balboa Park and at San Diego State University. Gamelan ensembles developed in the ancient courts of Java and Bali, and primarily consist of tuned bronze percussive instruments. Directed by Amy Hacker, a Cuyamaca College music instructor, Kembang Sunda has been performing throughout the region since 2007. A chemistry professor, a counselor and an English instructor have been selected by their peers as the academic year’s best faculty members, honored with top awards recognizing exemplary service to the campuses. The coveted committee-selected plaudits from each college’s Academic Senate are announced at fall semester convocations. 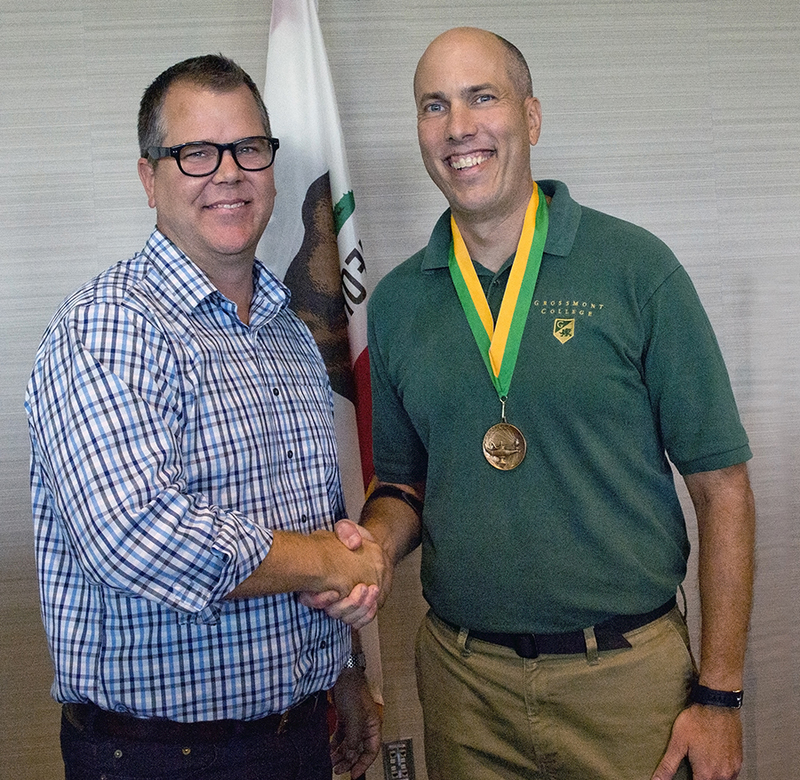 At Grossmont College, receiving the Distinguished Faculty honor was chemistry professor Jeff Lehman. At Cuyamaca College, receiving the Outstanding Faculty Award for full-time faculty was counselor Jesus Miranda; the honor for part-time faculty was given to English instructor Seth Slater. 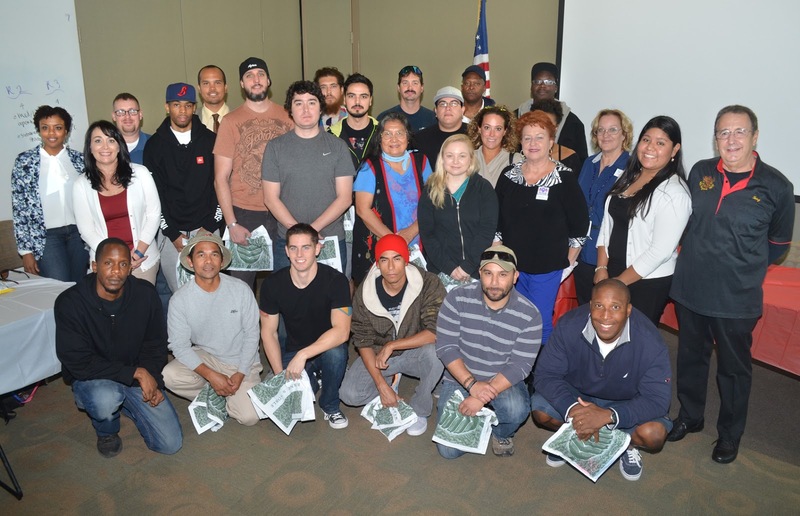 The Cuyamaca College students who graduated this week from an intensive, General Motors-sponsored training program have more than their associate degrees to show for their two solid years of classes and hands-on training – 100 percent employment as automotive technicians. 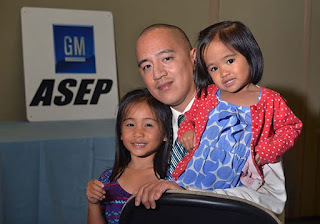 Rodney Flores, GM-ASEP grad, with his daughters. Like nearly all who have earned their degrees through college’s GM Automotive Service Education Program, the nine at Tuesday’s commencement ceremony representing the first graduating class since 2009 had jobs waiting for them after completing the program. Alternating classroom instruction with paid internships at GM dealership and AC Delco service centers means two solid years with no semester breaks, but the program’s rigor and its instructional and training excellence has a payoff that’s tough to beat. More than $85,000 in scholarships were awarded to 128 students at Grossmont and Cuyamaca College in events Saturday that celebrated student achievements despite sometimes overwhelming obstacles. The scholarship award ceremonies were presented by the Foundation for Grossmont & Cuyamaca Colleges, the philanthropic arm of the Grossmont-Cuyamaca Community College District. "We want to honor you for the hard work you have done and inspire you to continue," District Chancellor Cindy L. Miles told the honorees. "And we want to thank our scholarship sponsors, who are paying it forward so our students can achieve their dreams." 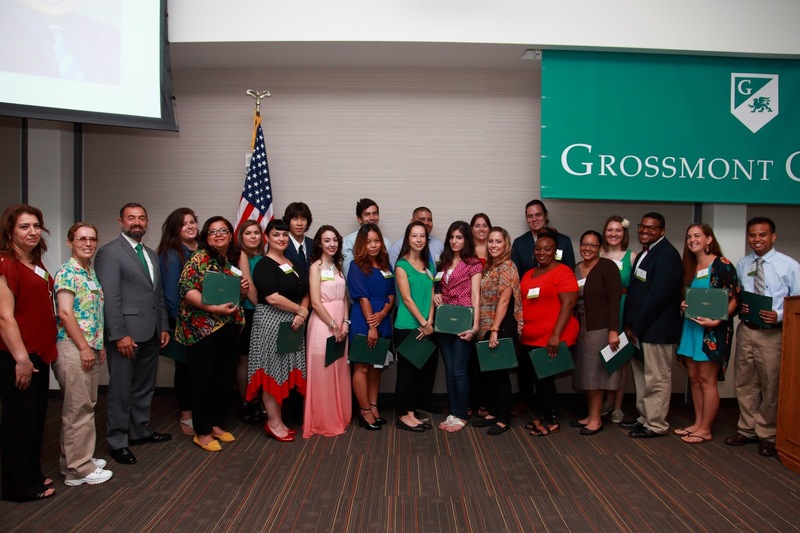 At Grossmont College, 69 students received scholarships totaling more than $43,000, while at Cuyamaca College, almost $42,000 was awarded to 59 students. Many of the students were awarded Osher scholarships, the result of a statewide community college scholarship fund established by the Bernard Osher Foundation in 2011. Osher, a Bay area philanthropist, donated $50 million to the fund and challenged colleges to raise money to establish the scholarships. 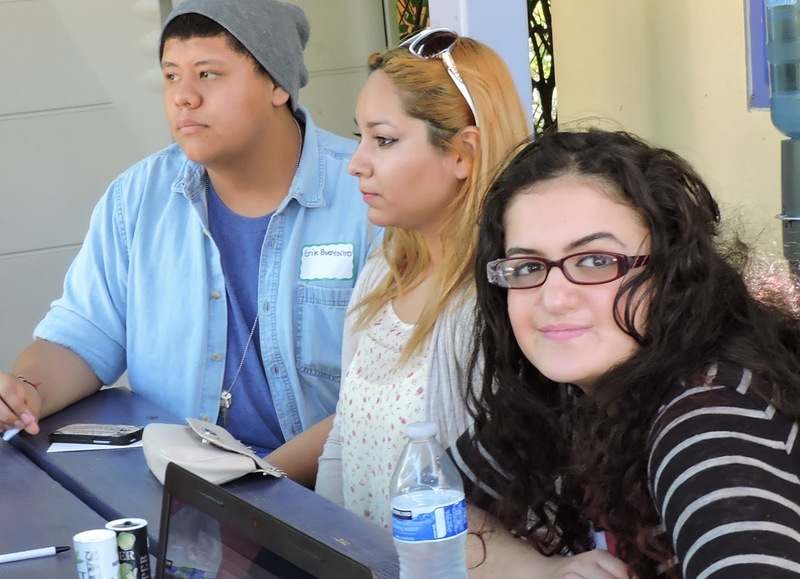 Interested in earning college credit in just two months from Grossmont or Cuyamaca colleges? Eight-week courses beginning the week of Oct. 12 are a great way to pick up general education or subject-specialty classes in less time, but at the same affordable cost of regular semester-length classes. The classes ending Dec. 7 offer from one to five credits at a cost of $46 per unit. They consist of traditional, online and hybrid classes, which require both in-classroom and online attendance. For students looking to complete general education course requirements, classes offered include Introduction to Physical Anthropology, History of Jazz Music, History of Rock Music, Interpersonal Communication, English Fundamentals, Modern American History, Principles of Humanities, Introduction to Philosophy, Spanish, College Composition and Reading, Public Speaking, Intermediate Algebra, English as a Second Language and more. Other courses offer specialized training and instruction such as Grossmont College’s Culinary Arts classes in food purchasing, bread making and chocolate preparation, and Nursing program classes in nursing pharmacology and neurologic and psychiatric nursing. Cuyamaca College’s specialized courses include Water/Wastewater Technology classes in water conservation and water treatment plant operations and the Ornamental Horticulture program’s urban forestry class. Business office training is available in online, self-paced courses such as Keyboard/Document Processing, and Using Microsoft Outlook. Students can also improve how they learn by enrolling in Study Skills and Time Management or find help in their educational and career paths in College and Career Success and Transfer Success. Lists of class offerings at Grossmont and Cuyamaca are posted online at www.gcccd.edu/now. The deadline for registering is Oct. 16.